Rain showers this morning with overcast skies during the afternoon hours. High 66F. Winds ENE at 5 to 10 mph. Chance of rain 40%.. Scattered thunderstorms this evening becoming more widespread overnight. Low 46F. Winds NE at 10 to 15 mph. Chance of rain 90%. Linda K. Sprecher died quietly surrounded by an immense amount of love at her home in McFarland, Wis., on Sept. 21, 2018. She was 60. Lin was born Oct. 10, 1957, to Jerome and Patricia (Pape) Florian of Somerset, and was the granddaughter of Leo and Anne (Kelly) Pape of Osceola. 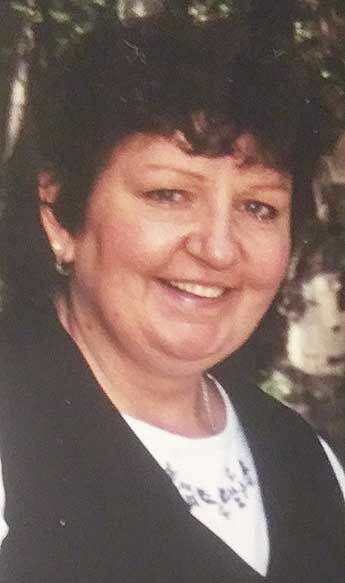 She and her family lived in Somerset for many years before relocating to Sauk City, Wis. Lin was a graduate of Sauk Prairie High School and went on to work at Rayovac and Wick Buildings before having her three children with her former husband, Russ Sprecher. During her children’s early years she operated a daycare in the family’s home, which was one of the jobs she enjoyed most in life. After her children began attending school, she went to work for Fiskars. She spent 25 years working at the company’s Sauk Prairie and Madison facilities. Lin knew at an early age that her ‘calling’ in life was to be a mother and to care for others, and she did so beautifully. She found her greatest joy and peace in seeing her children and grandchildren strive to achieve their dreams and live their best lives. She was preceded in death by her parents, Jerome and Patricia Florian, and her stepfather, Larry Tschirki; grandparents, Leo and Anne Pape, and Louis and Maria Florian, and many aunts and uncles. She is survived by her children, Jessica (Ben) Elsner, Jerome (Sarah), and Andrew (girlfriend Gretchen); grandchildren, Dante, Grace, and Kayla; sisters, Le (Ron) Amerson, Monica (Dan) Fogarty, Antoinette (Tom) Rahn, and Micky (Ben) Formanack; aunts, Kay Burch and Ann Emerson, and several nieces, nephews, and cousins. The family is grateful to the aids of Agrace Hospice & Palliative Care for the compassion, kindness, and quality care they provided to Lin during her last few months; and to the crew of Findorff Construction for their tremendous understanding, beautiful gift of flowers, and willingness to adjust the construction taking place near Lin’s home to help maintain serenity during her final days.